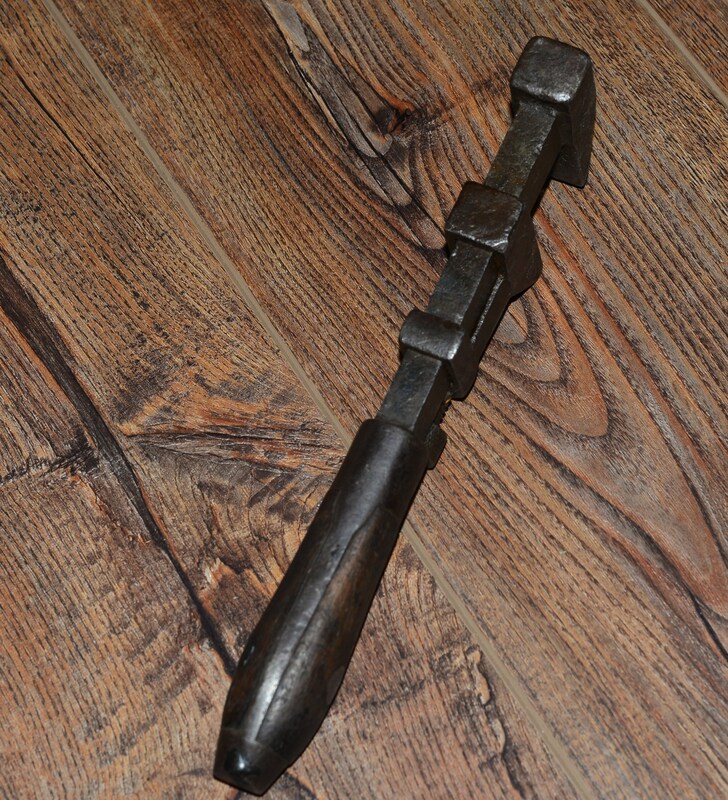 A great old solid wrench co Worcester Mass, 6.5 inch monkey wrench. 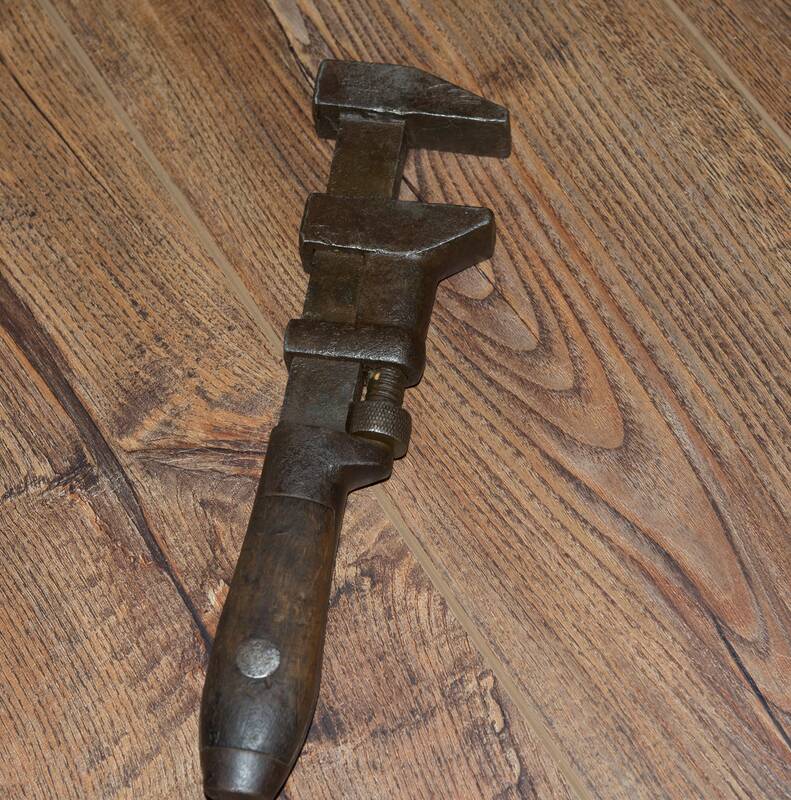 This adjustable wrench is so well made, wood handles and solid iron, they don't make tools like this any longer. I think they make great display pieces in inudustrial settings. 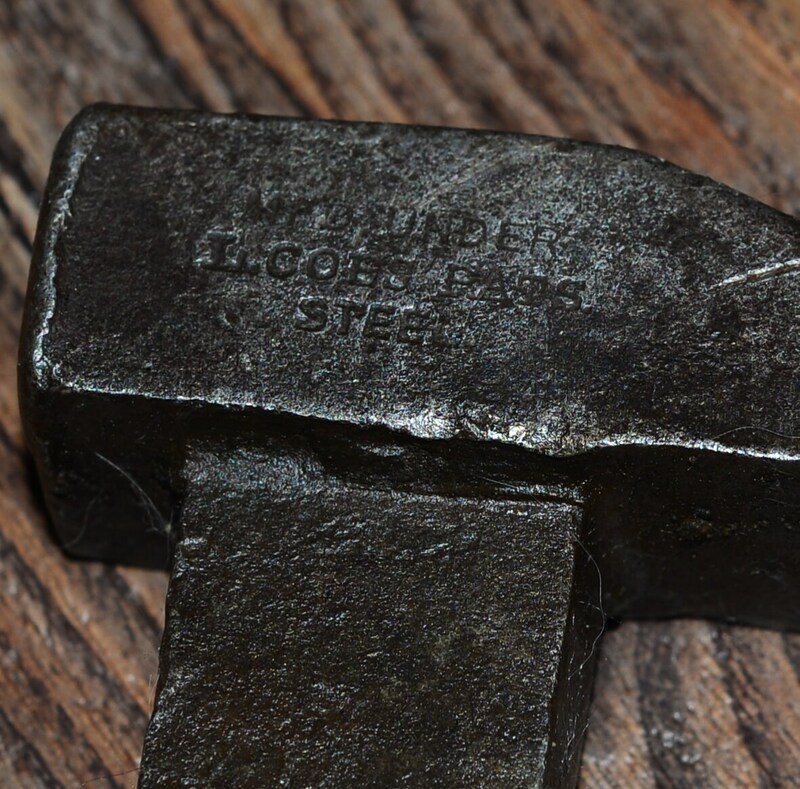 They are also still useable marked on one side Wrench Co Worcester MASS on the reverse made from Coes Pat.